This post is part 3 in my series about Marriage and the Church, in the light of Jewish marriage customs. This is the next installment of the interpretation of the analogy which I wrote about recently, (The Beauty and Significance of Jewish Marriage Customs). If we look at these Jewish customs in the light of Jesus Christ and His Bride then we will begin to see, not only the beauty of the analogy, but also the bearing this has on us as Christ’s Bride, the Church…. In the analogy the young man leaves his betrothed to go and prepare a place for her in his father’s house. Just as the young man is busy preparing for his bride a place, so too our Betrothed has not forgotten His bride and is busy preparing for us a place. Meanwhile the bride has been patiently awaiting her groom’s return, not knowing when it will be, but knowing that he will keep his promise to her. Because she is uncertain of the date and time she must keep watching. Jesus will return for His Bride, just as he has promised. So the picture of the young man returning to collect his bride, is a picture of the Rapture of the Church. Just as the young man brings his friends and escorts with him to collect his bride, so too will Jesus Christ return for His bride with His holy angels in the Rapture of His Church. “1. the Messiah will come from Heaven into the earth’s atmosphere and He will enter into the realm of the home of the Bride. 2. He will then give a shout. The Greek word used means “a military command”. Thus, He will issue the command as a military general does for the process to begin. 3. The third step will be the voice of the archangel. Michael the archangel is pictured here as the sub-commander, who will repeat the order of the chief commander. 4. Then… the trump of God will sound. After the sub-commander had issued his orders, the trumpeter would issue his calls so the soldiers could know what to do: whether to attack or retreat, whether to go forward or reverse, whether to go right or left. So the trump of God will sound. 5. Then the dead in the Messiah will rise first. This is why the dead saints will not miss out on the benefits of the Rapture, they will receive them first by being raised first. 6. Those who are alive will be caught up (or be raptured) to meet the Lord in the air. 7. The believers will ever be with the Lord. From then on, believers will be with Him because He is their husband. Now the Bride is with her Groom and so the wedding ceremony can take place. As in the analogy, the ceremony took place in the groom’s house. There were only a few guests at the actual ceremony, usually family members and two witnesses. 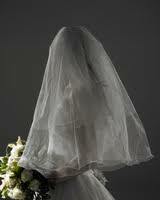 In the analogy the bride was hidden away for 7 days in the bridal chamber (huppah). So too will Christ’s Bride be hidden away for 7 years during the Great Tribulation upon the earth. The Wedding Feast is different from the ceremony, in that whereas only a few were invited to the ceremony, many are invited to the Feast. It is the Wedding Feast that will usher in the Millennial Kingdom on earth and so it takes place on the earth. “The Spirit and the bride say “Come!”… (Revelation 22:17). If you do not know Jesus the Messiah as your Lord and Saviour, hear His voice today and come to Him. He, in essence, is making to you a marriage proposal. Will you allow the One who gave up His life for you to be your Husband….to have and to hold…in sickness and in health…forsaking all others from this day forward? And will you, accept the cup offered to you and become part of His Bride? Will you pledge to Him your troth (your faithfulness) from this day forward? If you do know Jesus, if you have already been betrothed to the Bridegroom, then I exhort you to remain faithful to Him. God is not slack concerning His promises as humans are, Jesus is returning for you very soon. He has already paid the Bride-price for you with His own precious blood. Keep watching and waiting for Him. Categories: Hebrew Roots, Jewish Roots, Marriage | Tags: Book of Revelation, Bride, Christianity, church, Great Tribulation, Jesus Christ, Jewish marriage customs, marriage, Messiah, Rapture, Wedding Feast | Permalink. This post is the interpretation of the analogy which I wrote about recently, (The Beauty and Significance of Jewish Marriage Customs). If we look at these Jewish customs in the light of Jesus Christ and His Bride then we will begin to see, not only the beauty of the analogy, but also the bearing this has on us as Christ’s Bride, the Church. In ancient Jewish customs, the Bride-price was a very high price to pay, and for some young men it was simply too high, they couldn’t afford a bride. The higher the price that was paid, the less incentive for a young man to divorce his betrothed. This gave the young woman comfort that her betrothed would in fact return for her. Jesus Himself paid a very high price for His bride, the ultimate price – He paid with His own blood. His life was poured out for her. No higher price has ever been paid than what He paid. We can take comfort in this, knowing that the price that Jesus paid was so high, His own life, that we know that He will return for us. The Bride-price is hence agreed upon. 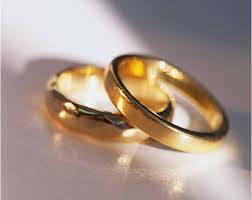 And so the young man pays the price in Full to the father in order for the marriage covenant to be established…. “It is finished” is literally translated “tetelestai”. Everything He had come to do, everything that had been pre-determined in the eternal counsel of God, had now been accomplished. He had said to His Father “Thy will be done” and now it had been done. His was a cry of victory. There at the cross, the sinless Son paid in full the debt owed, our debt, for the sin of mankind to the Father. Oh what a beautiful Saviour! The Bride-price was agreed upon and paid, now it needed to be handed over to the Father. On the Day of Atonement, the High Priest killed the goat of the sin offering for all of the children of Israel on the altar. He then brought the blood of the sacrifice inside the veil of the Holy Place and presented it to God by sprinkling it on and in front of the mercy seat. (Leviticus 16:15) The High Priest could not come into contact with anything impure or unholy before he had brought the blood into the Holy Place. 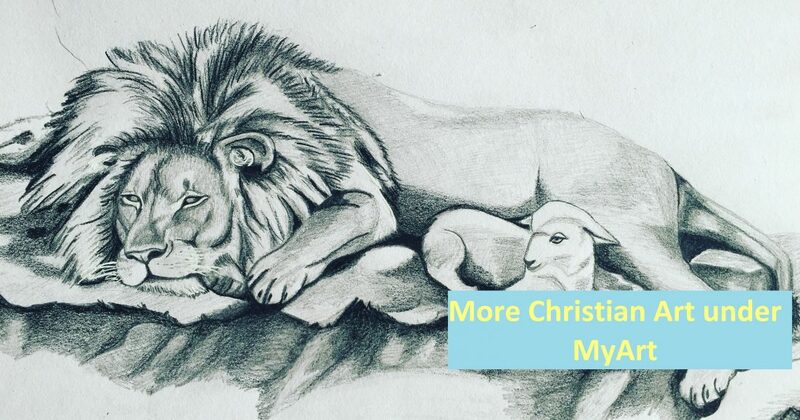 As everything that happened under the Old Covenant was a picture (or type) of our Lord Jesus, so too did Jesus, our great High Priest, have to hand over His blood (the Bride-price) to the Father. Note: that it was the groom-to-be that paid the price in full. The Bride was not required to add anything, nor could she, to what the groom had paid. A glass of wine is poured. Now the bride is invited into the groom’s presence. It is the Holy Spirit whom calls in the lost, but we are used as His mouthpiece. Just as the bride in the analogy was offered a glass of wine to drink to show her acceptance of the covenant with the groom, so too Jesus, the Bride-Groom, offered His disciples a cup of wine. This was Christ’s “marriage proposal” to His Bride. And just as that young woman could either accept or reject the marriage proposal, so too can each of us. Every time the gospel is proclaimed through this world it is Christ once again issuing His proposal to the lost sinner. 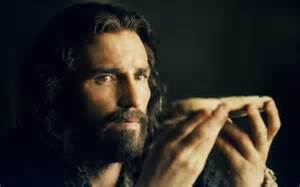 So by Jesus offering His disciples the Cup, He was instituting the New Covenant, just as the marriage covenant was explained to the young woman. The disciples drank from the cup He offered and thereby accepted His proposal and consented to the covenant He was making with them. As they drank from the cup He offered, the disciples willingly entered into the covenant which was to be established at Jesus’ death. Another important point here is that upon entering into covenant with Him, they also entered into covenant with each other, as the Bride. When Jesus said “this is my blood of the covenant..” He was explaining to them that it is His blood that is the Bride-price. It is the blood that will institute the new covenant He is making with them. The disciples, being Jews and familiar with the marriage customs of the day, would have understood the implication. Here Jesus is referring to the consummation of the betrothal – the marriage and Wedding Feast of the Bride and the Lamb in Revelation 19:7. Just as the young Jewish couple are now considered husband and wife, although betrothed, rather than that of fully married, so too are we, as Christ’s Bride, wholly set apart, or consecrated, for our husband and exclusively committed to Him. 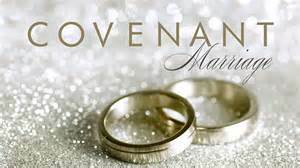 As we willingly enter into covenant with Him, it is now only divorce that can dissolve the union. (ie. Spiritual adultery on our part). Just as Jesus washed the disciples’ feet, so too are we expected to do this for each other. After Jesus instituted the New Covenant with the disciples, and offered them the cup of His “marriage proposal”, which they accepted, He then prepared them for His soon departure. Just as the young man prepared to depart from the young lady’s home after their betrothal, so Jesus too must go away for a time. Once again we, as Jesus’ Bride-to-be, are comforted with the knowledge that He will return the same way in which He departed. And true to His Word, the Holy Spirit, the Comforter, was given 10 days later at Pentecost. As the betrothed of Jesus Christ, what is our role as we await His return? Watch as did the young woman. Watching is to stay-awake, to be sober, to be vigilant against the enemy, to use our mind to interpret end-times Bible prophecy and to pray. Jesus and the apostles connected prayer with watchfulness. Wait for Him. This is not a passive state, but rather we need to actively await Him. We need to live in a state of expectancy, for we do not know when His return will be, although we can tell His warnings in scripture that it will not be long now. And as we wait we should be preparing ourselves as a Bride. The best way to recognize the counterfeit, is to know the real thing. 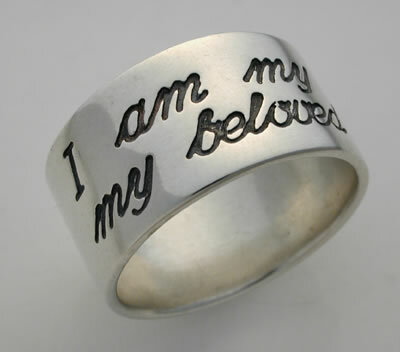 So get to know your Betrothed, Jesus Christ. Spend time with Him and study the Word of God. Be Sanctified by Him. We consecrate ourselves to Him, but we are sanctified by Him. This is what He does in us, by His Holy Spirit. Sanctification is a process of being purified and made holy. This will include trials, tribulations and suffering on our part, but we must yield to the Holy Spirit and to the loving discipline of the Lord to His children. Categories: Hebrew Roots, Jewish Roots, Marriage | Tags: Bride, Bridegroom, Christian, Christianity, church, custom, hebrew, Jesus Christ, Jewish, marriage, New Covenant | Permalink. In my last post (Marriage, yep marriage) I wrote briefly how marriage was specifically designed by God for a purpose. The purpose of marriage between a man and a woman is that it is to be a testimony and a prophetic signpost in order to point the way to Christ and His Bride – the Church. 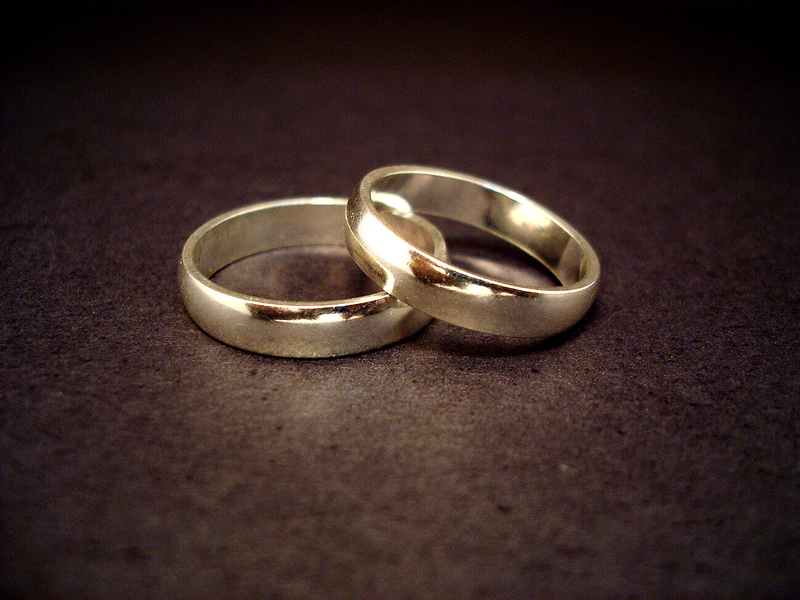 In this post we will look at Jewish marriage customs. Why? Because I believe that as followers of Jesus Christ in this post-modern age it is easy to miss the beauty and significance of the eternal truths displayed in Jewish marriage. Jesus Christ’s words and actions take on greater meaning when we understand the culture of Christ’s day. I believe it will be beneficial to us, as His Bride, to understand the nature of our covenant relationship with Him, the importance of His promises made to us and to understand the true beauty of marriage.. It is my hope that through this we will get a glimpse of the eternal significance of marriage and the hope that we have in Christ, as His Church…. So, I will start by asking you to picture a young woman living at home with her father, mother, brothers and sisters. a betrothal contract, called a Shitre Erusin. The young woman’s father goes with the young man into a private room and they discuss the price that must be paid by the young man in order to purchase his prospective bride (the mohar). Once the bride-price is agreed upon, the young man must pay the price in full to the father for the marriage covenant to be established. It is at this point that the young woman is invited into the room. She sees the young man who has come all this way for her. Perhaps it may be the first time she has met him, perhaps they have known each other for a long time. In any case, the terms of the marriage covenant are explained to her and her father asks for her consent to the marriage. If she approves and consents to the marriage she drinks from the glass of wine that has been poured. 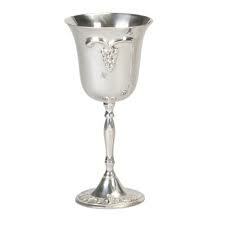 As a symbol of the covenant relationship that has been instituted, the young man also drinks from the same cup of wine, over which a betrothal benediction has been spoken. The young couple are now considered husband and wife, although their status is betrothed, rather than that of fully married. By her partaking of the wine, the young lady is now wholly set apart, sanctified or consecrated, for her husband and exclusively committed to this young man. She has willingly entered into a legal contract with him and now it’s only a divorce that can dissolve the union. Comforted by the promise of her betrothed, she watches him depart, knowing that he will return for her, just as he said he would. She keeps herself busy preparing for his return, even though she does not know exactly when that will be. The fact that she has been bought with a price and that she is now no longer her own, brings her great comfort for it gives her the assurance, along with his promise, that he will return for her. And so, day by day she watches for his return. She knows that she must be ready to go at any given moment. As she waits for her wedding day, it brings her great joy to learn how to live as a wife and mother in Israel and to put together her wedding clothes and linens. Her betrothed, meanwhile, has not forgotten his bride and is busy preparing for her a place. He wants his bride to be happy and so sets about building and organizing her living arrangements in his home. He also does not know when the day of the wedding will take place. In fact, no one knows the day except his father. His father will only give permission for him to go and collect his bride when he is fully satisfied with the living arrangements made by his son. When the time comes, the father gives permission to his son, and the betrothed takes three days to prepare before he begins his journey to go and collect his bride. He brings with him two of his closest friends and other male escorts. This would usually take place at night and a torch light procession is made to the young lady’s home. 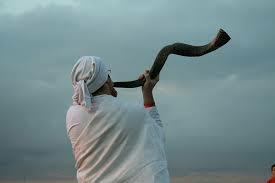 The groom’s arrival is preceded by a loud shout and the blowing of a trumpet (shofar) in order to alert his bride that he is on his way. Her heart leaps for joy at the sound. She knows that her faithful waiting and watching for him has not been in vain. He is returning for her as he had promised. She is taken, along with her female attendants, back with him to his father’s house. There the wedding guests are already assembled in expectation of the wedding ceremony. At the ceremony another contract, the Ketubah, which contains the promises made to the bride by the groom, is witnessed by the two friends of the bridegroom and then given to her parents. During this whole process she remains veiled. Next, the bride and groom are escorted to the bridal chamber, (huppah), where her groom gives her some gifts. The following seven days are spent together in the huppah as the friend of the groom stands outside the door. He waits for the groom to relate to him the news of the consummation of the marriage. At the announcement of the consummation to the wedding guests, there takes place feasting and joy for seven days. At the completion of the “seven days of the huppah”, the groom brings out his bride, finally with veil removed. Now all can see his bride as they join in the wedding feast. Categories: Hebrew Roots, Jewish Roots, Marriage | Tags: blog, Bride, Christian, Christianity, church, israel, Jesus Christ, Jewish views on marriage, marriage, religion, Wedding, Yeshua | Permalink.